When the Vancouver Yaffa Housing Society opened the first home for members of the Jewish community with mental health issues, in 2001, Dexall was the first resident. He remains there today. “I’m happy here,” he said. There is more freedom to do one’s own thing than in the “dictatorial” group home he left, he said. Plus, the residents enjoy a Jewish lifestyle, celebrate the holidays, have Shabbat dinners on Fridays, attend the Bagel Club on Mondays and participate in other aspects of Jewish communal life. Every day, volunteers shuttle kosher meals from the kitchen at the Louis Brier Home and Hospital for Yaffa residents. The organization is in the midst of a significant expansion. The house where Dexall has lived for 17 years is operated by Yaffa under a lease from the Vancouver Resource Society, a nonprofit providing accessible housing to people with disabilities, which owns the home in a quiet south Vancouver residential neighbourhood. In 2010, Yaffa bought the house next door, welcoming more residents. 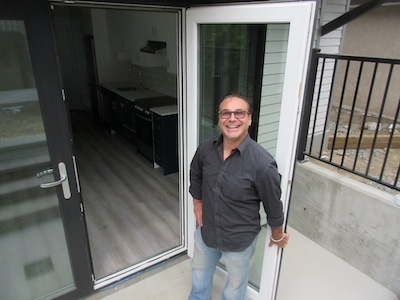 Now, a sparkling new two-storey laneway house has just been completed behind the second home and renovations are taking place on the two houses to further increase capacity. Yaffa also has five units in a 51-unit building in Dunbar, which offers more intensive 24/7 care for residents. In an agreement with the Coast Foundation, B.C. Housing and the City of Vancouver, Yaffa has perpetual lease of these five spaces in return for funding a kosher kitchen in the facility. Avie Estrin, the president of the society, is carrying on a family tradition. His parents, Aaron and Tzvia Estrin, were among the founding members of the Vancouver Yaffa Housing Society and Aaron was pivotal in raising the capital to launch the residential facility and purchase the second home. Their collective passion comes from firsthand recognition of the need. Avie Estrin’s brother, Marc, is a resident. An ad hoc group of families came together to form the Vancouver Yaffa Housing Society, with no organizational support at the outset. Now, the facilities house 13 people. With the completed laneway house and upcoming renovations to the unfinished basement in the second house, the organization will welcome five more residents. Estrin said that, even with this expansion, the organization is only making a dent in the demand. With a rule of thumb that 10% of the population has a mental illness and half of those are acute, the Vancouver Jewish community, he estimates, probably has about 1,200 people who would meet Yaffa’s criteria for residency, which is based on DSM-IV Axis 1: “Schizophrenia, manic-depressive, things like that,” Estrin said. He acknowledges the organization’s limits. One of the other things the renovation project will ameliorate, Estrin hopes, is the gender imbalance. Because the nature of Yaffa House is a collective living model, there have been logistical challenges in mixing genders. “By happenstance, we’ve become kind of an all-guys facility as things stand right now and it’s not because there are less women out there who are affected. There is an equal number of them,” he said. As the redevelopment continues, plans will incorporate accommodations for women, adjacent to the men’s accommodations, but with added privacy. To complete the development and to support daily operations, Estrin is making a call for support, not only financial – though he stresses that is most welcome – but also for volunteers who can fill various capacities either as members of the board or in helping out at the homes. For more information, visit yaffahouse.org. On June 14, the board and staff members of all the Jewish housing societies met to discuss the progress they have made, the issues they are facing both collectively and individually, and how they can work together to solve them. Attendees included members from societies for seniors (Louis Brier Home and Hospital and Weinberg Residence, Vancouver Jewish Building Society and Haro Park Centre), singles and families (Tikva Housing Society) and people suffering from mental illness (Vancouver Yaffa Housing). Though there have been discussions in the past, this Jewish Housing Forum was the first outlet that provided all the housing societies a medium to come together and voice their opinions, concerns and future goals. There has been strong support from the housing societies, donors and the Jewish Federation of Greater Vancouver for the societies to initiate an open dialogue and find a way to amalgamate all of their strengths to provide the best support possible for those who need it most. 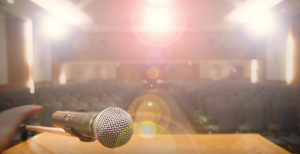 Some of the issues discussed included communication among housing organizations, issues residents are facing (i.e., transition from independent living to supported living), lack of awareness of the societies’ services in the community, and donor funding. Upon breaking into groups to discuss these issues, participants agreed on a number of suggested solutions, such as more communication among societies, holding regular meetings to exchange information, the sharing of resources, the need to access more units for community members and working together when dealing with acquisitions. All of these housing societies are continuing to excel independently, so exploring the ways they can work together demonstrated how they can better serve and help support the community. Hannah Konyves is a volunteer with Tikva Housing Society.